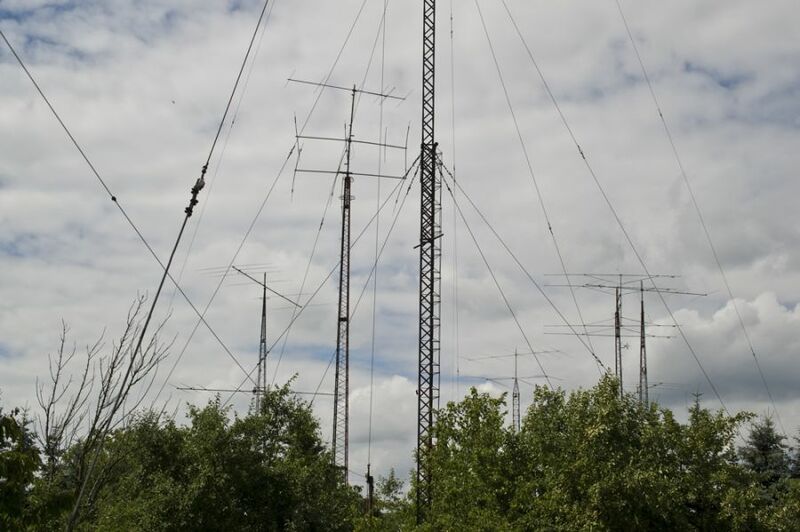 IARU HF Championship 2014 - Are You Ready? It is only one month left to the only official contesting world championship. This contest is unique and distinguishable from all other competitions by a few factors. All organisations in the world sponsor this event through the Union. The ITU zones are used for calculation of scores. Representations of national organisations are in focus. Finally, the best contesters of the world take part in the WRTC games, which always take place during the IARU HF Championship. For some reason, this July event is not as popular in some parts of the world as other world-wide contests. However, in Europe it is considered to be the acid test of the overall condition of Amateur Radio in respective country. Funny, the rivalry between countries within the European Union is very severe. The highest activity is in ITU zones 27 and 28. Poland is in zone 28. 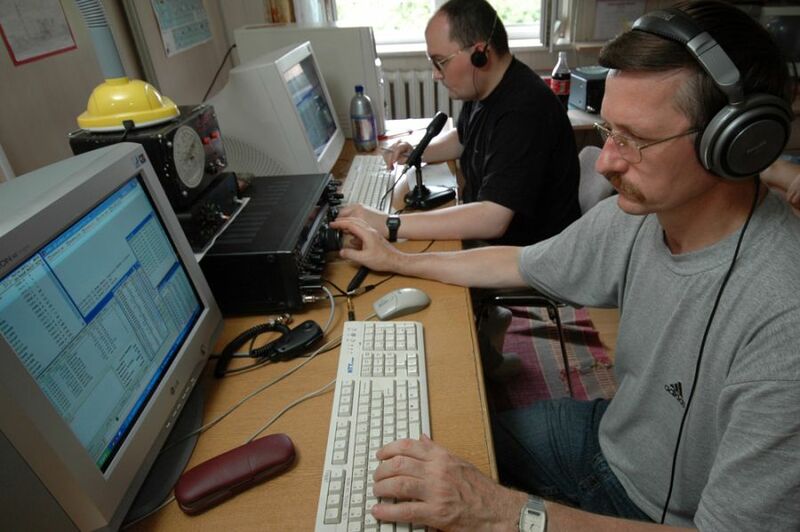 Since year 2000, the national organisation PZK is very well represented in the IARU HF Championship. I have visited a number of stations and operators who have been recently engaged in the SN0HQ project. The total number of participants in this group is more or less one hundred each year. 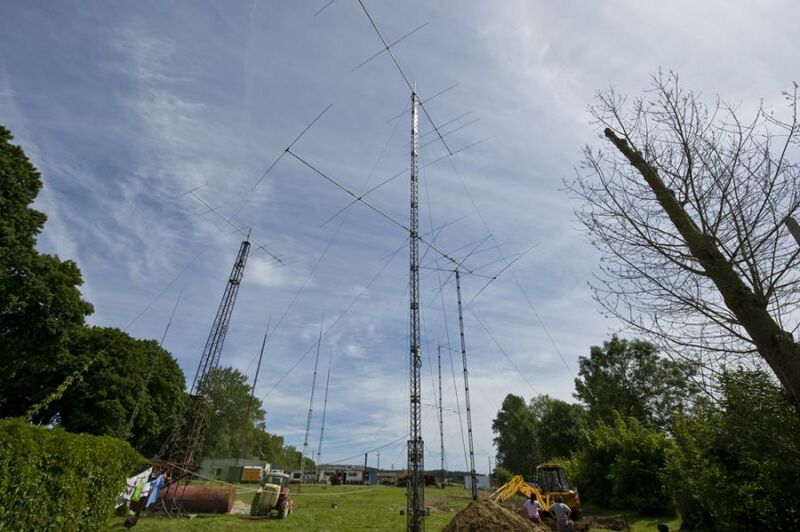 The group is working hard getting ready for IARU HF Championship 2014 without much publicity. How are you prepared for this match? SN0HQ in action - Eugeniusz, SP4JCQ - front - Andrzej, SP5XSD - further, scan 40 meter band using one transceiver with two receivers. 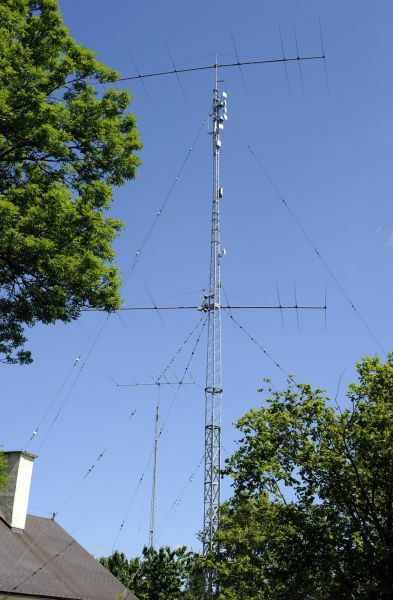 It is high summer and the IARU HF Championship looks almost like a field day with some equipment placed in the open air. 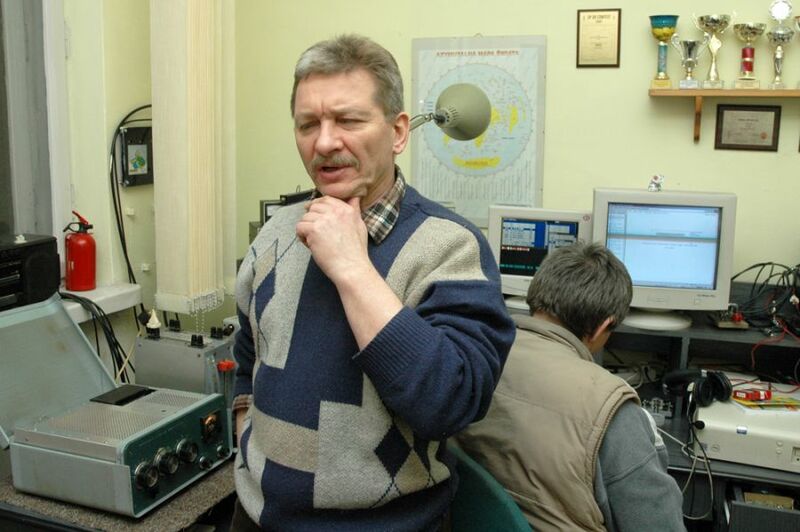 The location is the QTH of Wieslaw, SP4Z - in centre, who will be a referee at the WRTC2014. Other team members are SP5XSD and his XYL SQ5BB, SP5MXZ. Another SN0HQ team at the QTH of SP7JQQ. From left: SQ7FPD, SP7AH, SP7JQQ, SP8LBK. 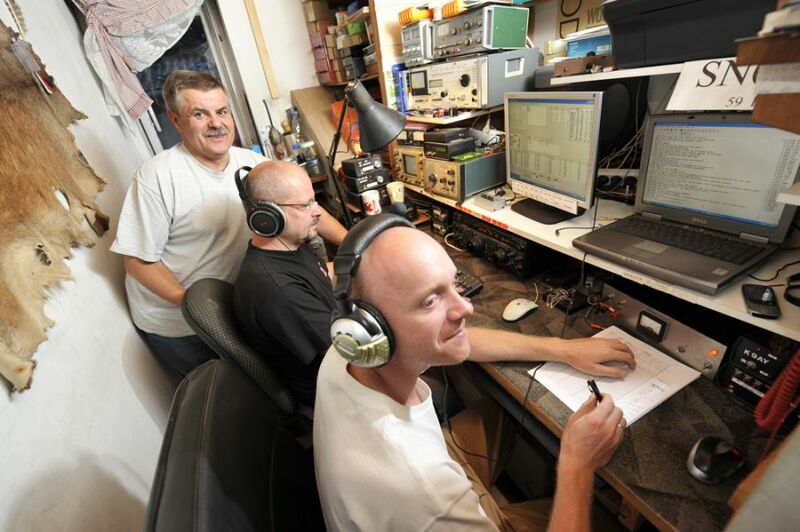 The tiny radio shack of SP7JQQ is filled with operators during the IARU HF Championship. From left: SP8LBK, SP7AH, SQ7FPD. Part of the SN0HQ team at the QTH of SP8CUR-SP8CUW in southern Poland. From left: SP8CUW, SP8CUR, SQ8JLU. 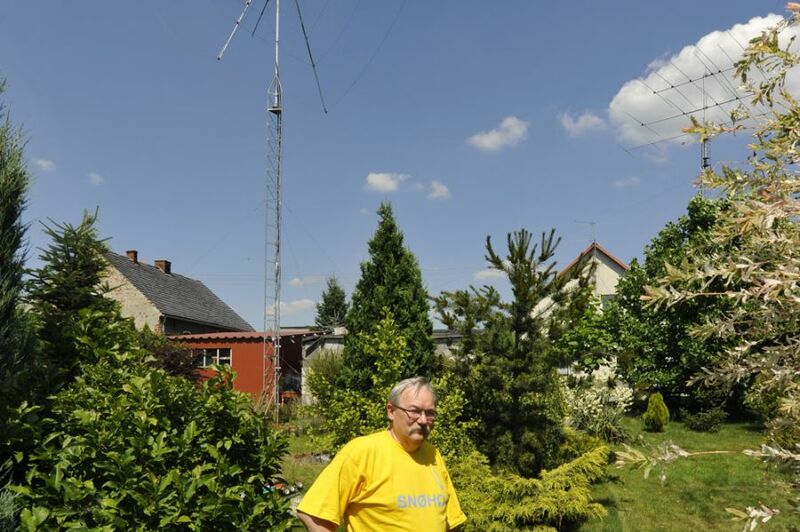 Przemek, SP7VC has only basic antennas at his home QTH, so he is a roving operator of SN0HQ. Last year he was at SP8CUR-SP8CUW. 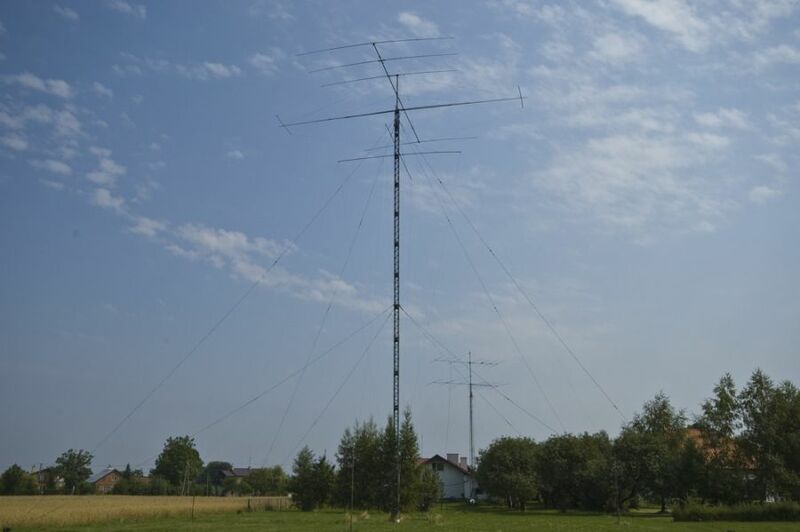 The very impressive antenna farm of SP2FAX in northern Poland. Przemek, SP7VC used to be here during the IARU HF Championship. Another view of the QTH of SP2FAX. 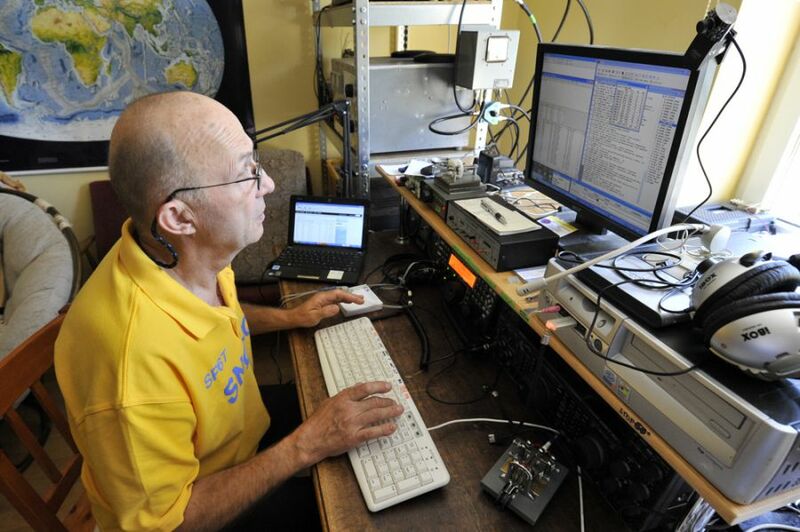 He has antennas for all bands but usually is running on 20 meter SSB. 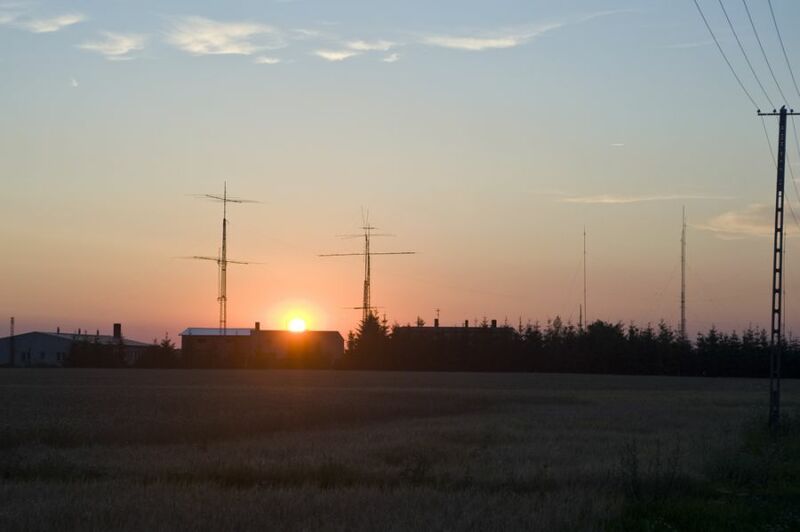 The antennas of SP3GEM silhouetted at sunset a day before the contest. His favourite bands are 10 meters and 80 meters. 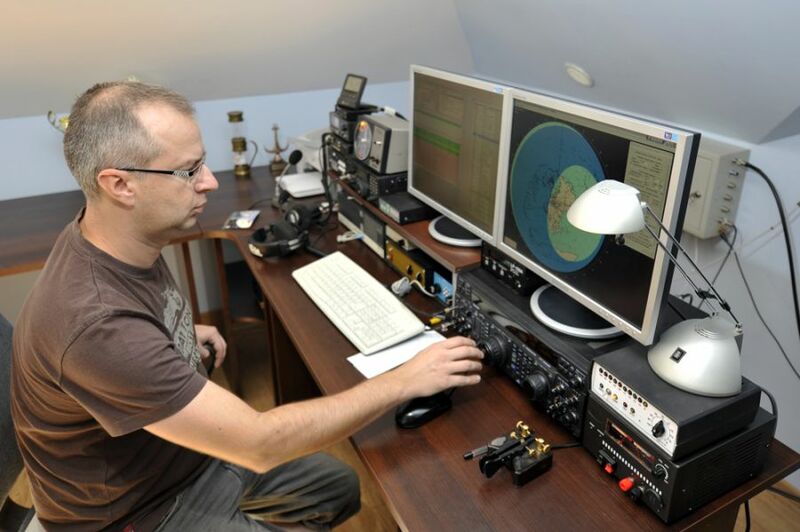 A snapshot of Jurek, SP3GEM in his radio room. 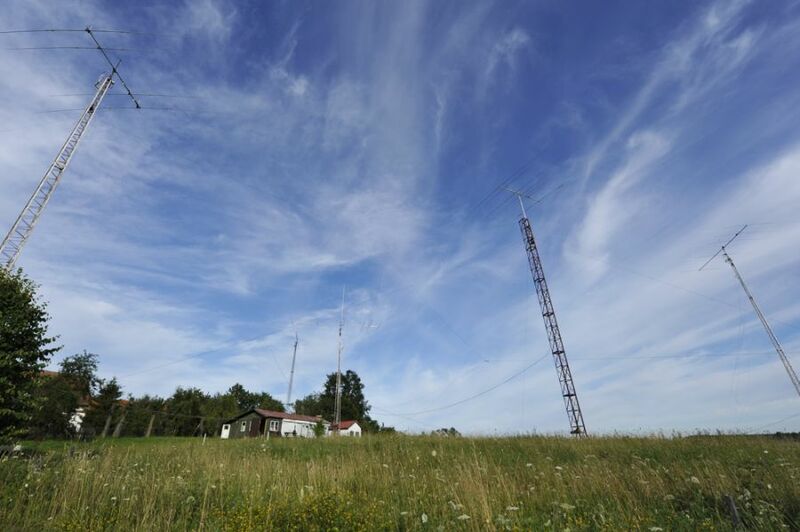 The station of SP4JCP is located in north-eastern Poland. 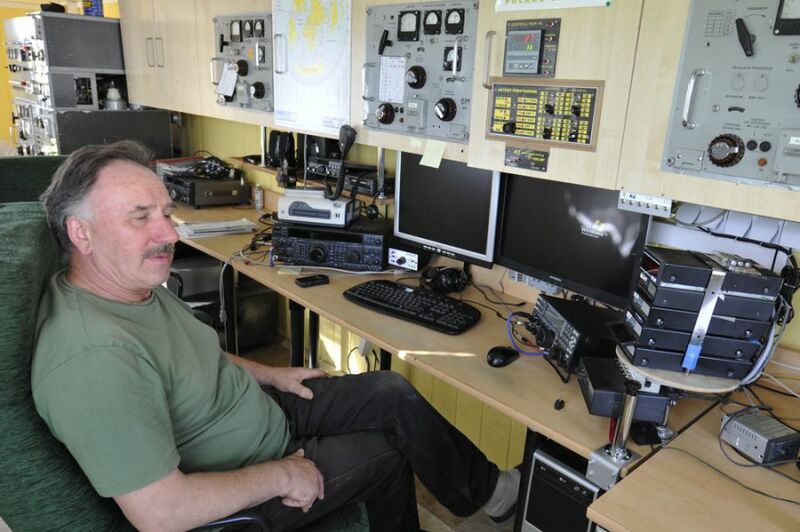 Romuald, SP4JCP at one of the operating positions in his well-powered radio shack. The QTH of SP4MPG in north-eastern Poland. Mirek, SP4MPG in front of his antenna towers. 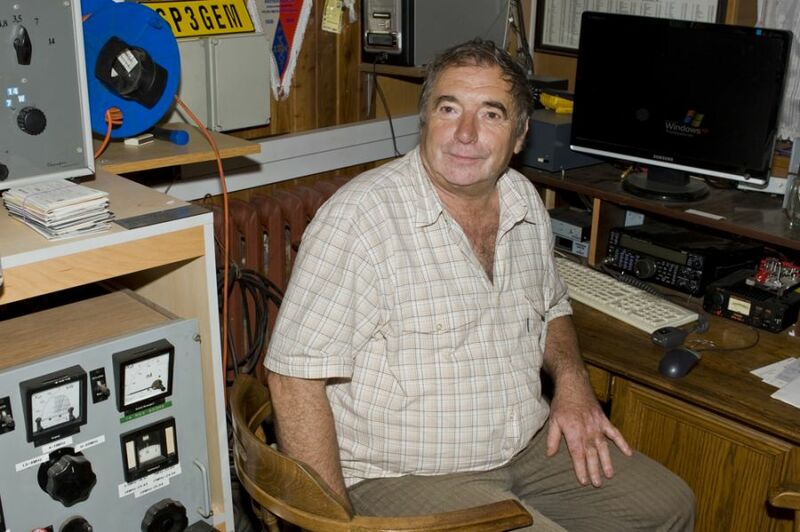 Zygmunt, SP5ELA is responsible for the SN0HQ computer network and also a stand-by operator. 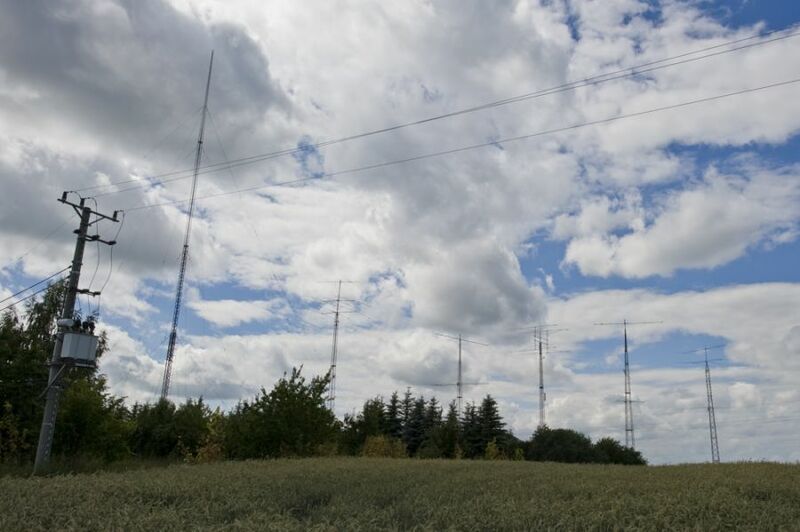 The 21 MHz stacked Yagi array at SP5GRM in central Poland. 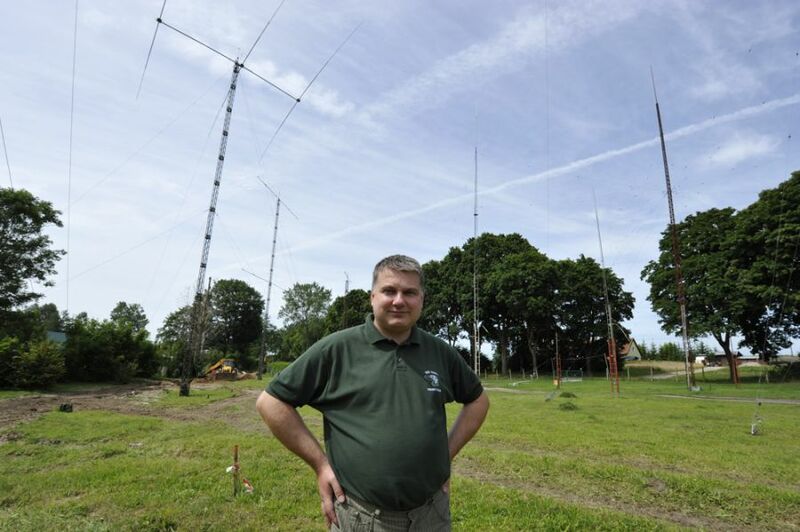 Tomasz, SP6T is the team leader and it was his idea to organise a multi-location network SN0HQ fifteen years ago. The antennas of SP6T are better than average but far from being a Big Gun station. 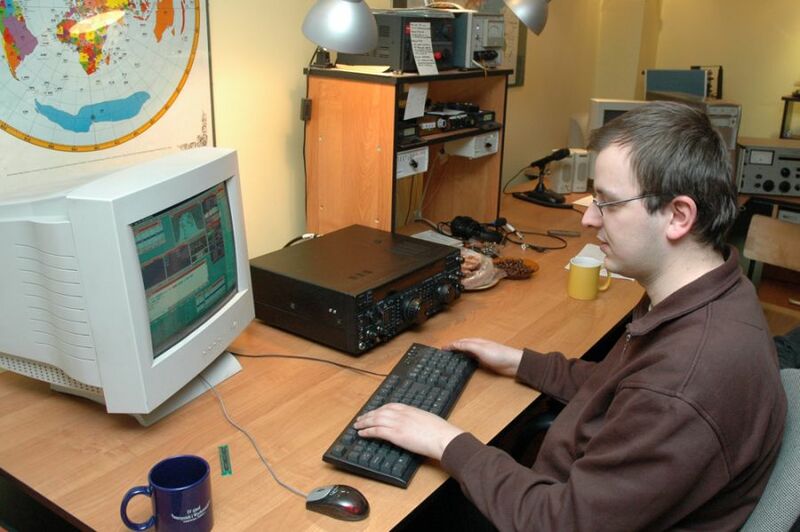 Marek, SP7DQR is a computer expert and solves the software problems at SN0HQ. 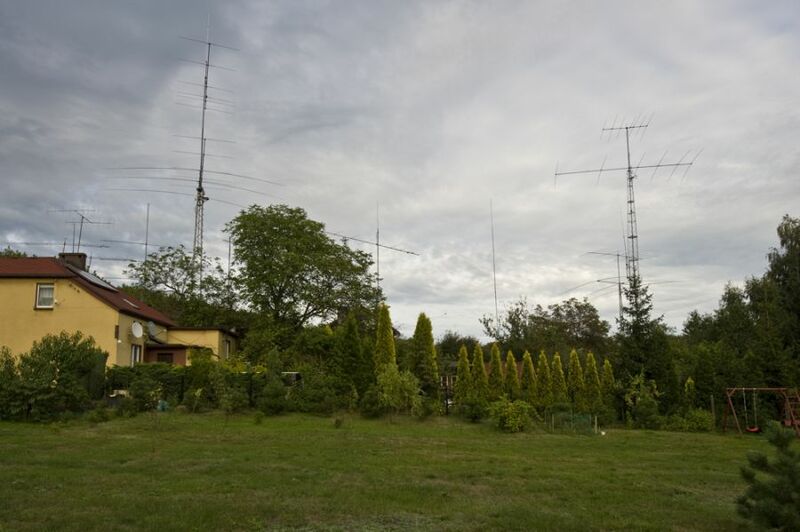 Krzysztof, SP7GIQ has a very impressive antenna farm consisting mostly of home made Quad antennas. 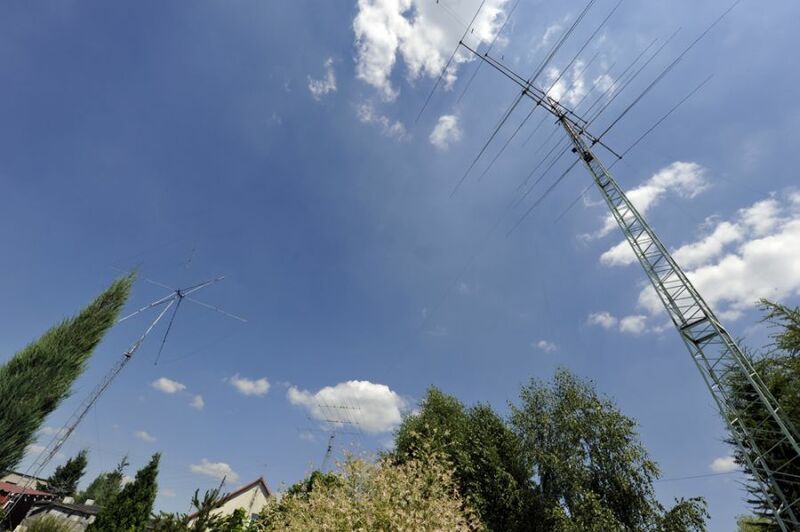 Tomek, SP7UWL at home, but for the contest he goes to SP7GIQ, who has excellent antennas. 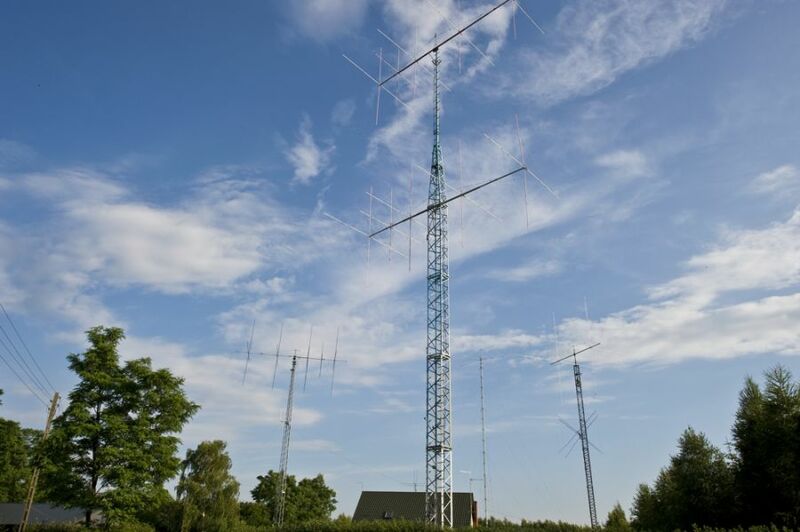 The QTH of SP8BRQ in south-eastern Poland. 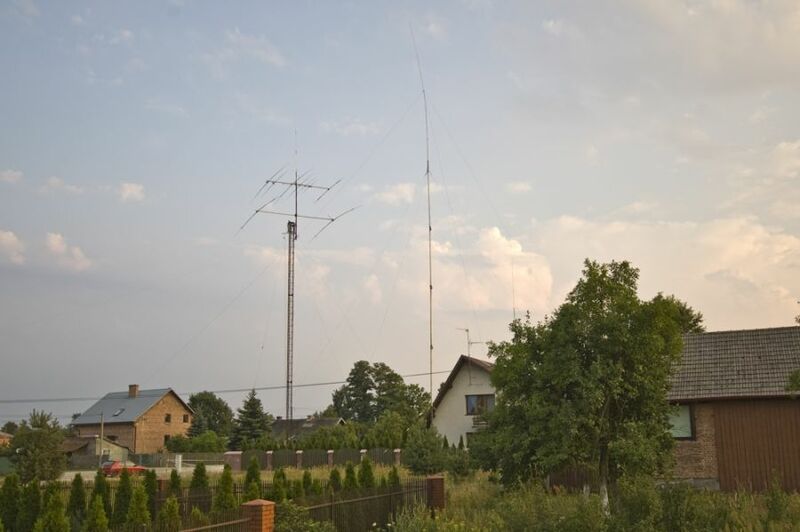 Piotr, SP9QMP lives in southern Poland near Czech Republic and has many antennas. Maciek, SQ6MS has no station of his own but is an excellent operator and fills the gap when needed. 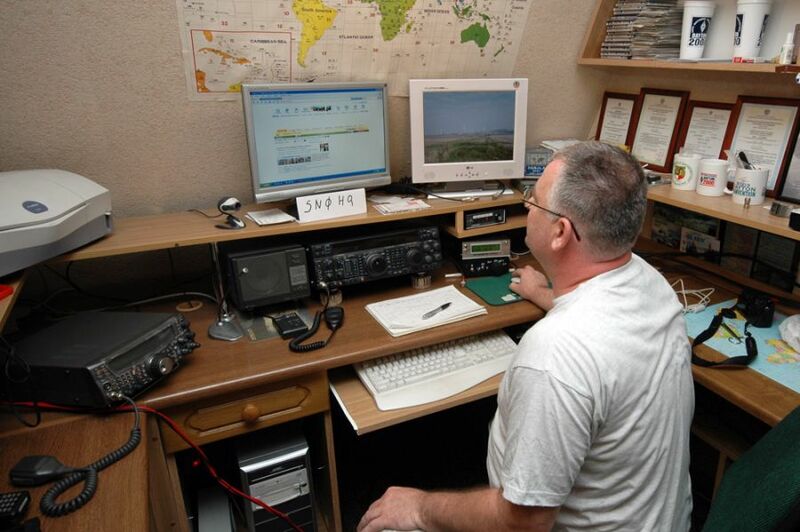 Marek, SQ8JLA likes the 160 meter band and usually takes care of it for SN0HQ.